During the Christmas season, Santa Claus is a very prominent figure. Nicknamed the “jolly old elf,” he has elves helping out in his workshop, making toys for all the good boys and girls. This version of elves is quite different from the way elves are often portrayed in modern fantasy fiction. J.R.R. Tolkien’s elves are arguably the basis of modern fantasy elves. He drew inspiration from a variety of mythological sources, writing that elves were once a great race that have since diminished now that men have taken over the world. His most well-known elves are probably those found in the Lord of the Rings (LOTR), especially Legolas. But he details others (and the history of his elves) in The Book of Lost Tales and the Silmarillion. Before reading LOTR, I came across the work of Terry Brooks. Unbeknownst to me at the time, his first book, The Sword of Shannara, was actually published because it is very similar to LOTR. He further developed the Shannara setting, which spans from our modern world into the distant future; elves remain important characters throughout the saga. Some of my favourite characters from Shannara are the elves from his second book, The Elfstones of Shannara, which tells the tale of an elvish girl who must come to terms with her destiny. The Elfstones of Shannara was later adapted into a television series, The Shannara Chronicles, which is quite fun to watch. Tolkien also influenced fantasy roleplaying games like Dungeons and Dragons (D&D). A popular campaign setting from D&D with a series of accompanying novels is Dragonlance. Dragonlance has several types of elves: the Silvanesti, who are a secluded race with a caste system, the Qualinesti, who split from their Silvanesti kin to have a more equal society and more contact with the other races, the Kargonesti, who are a tribal group of wild elves, the Dargonesti, who live in the sea, and the Dimernesti, who live in the shallower waters of the oceans. 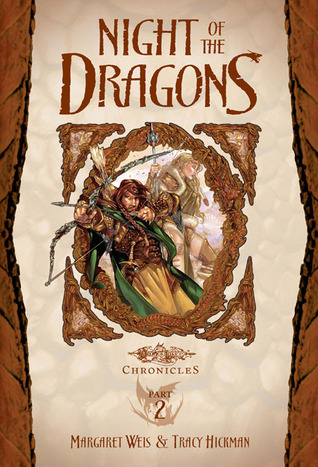 A great place to learn more about the world of Dragonlance is in the young adult adaptation of the Chronicles Trilogy. Another popular novel series based off of a D&D setting is Forgotten Realms. The series’ elves are split into several sub-groups which are similar to the ones in Dragonlance (but without the fancy names). But the drow, or dark elves, are a particularly popular group in Forgotten Realms. 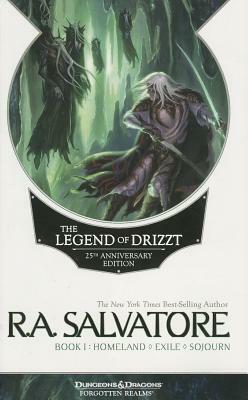 One of the most famous drow is probably R.A. Salvatore’s Drizzt Do’Urden. Drizzt was born into an evil subterranean society, but he never fit in so he turned his back on his people and forged a new life for himself on the surface world. You can read the beginning of his story in the Legend of Drizzt book I, which collects the Dark Elf trilogy, or in the Legend of Drizzt book II, which collects the Icewind Dale trilogy, which was where Drizzt first appeared in publication. Pen and paper roleplaying games like D&D also led to video games such as Warcraft. In the Warcraft setting there are several types of elves, which are all derived from the night elves or Kaldorei. The night elf nation split due to a conflict over the use of magic. The night elves renounced magic and worked to live in harmony with the natural world, while the high elves, or Quel’dorei, chose to continue practicing magic. The high elves later became the blood elves or Sin’dorei, after the destruction of their home. 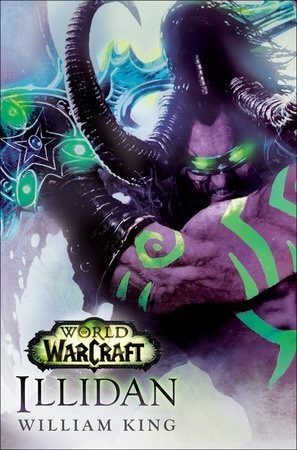 An interesting elven figure from Warcraft is Illidan Stormrage; a night elf sorcerer who was imprisoned after seemingly betraying his people in the war that split the night elf nation. You can read more about him in Illidan by William King.